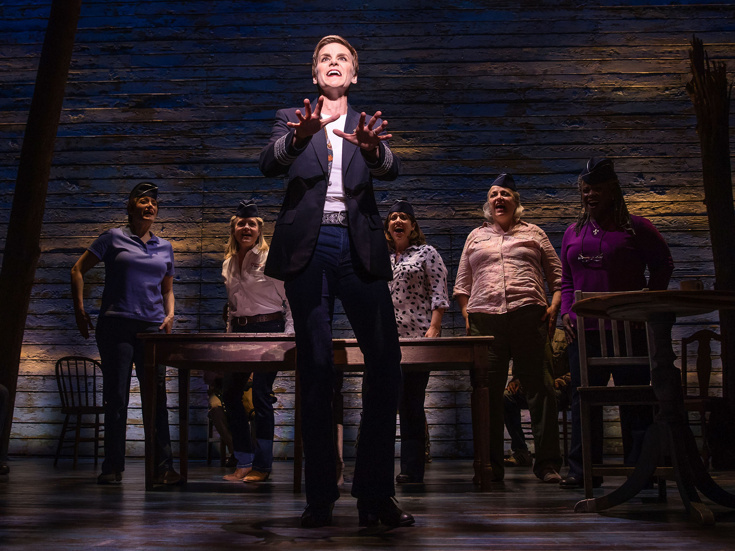 The new Broadway musical Come From Away and the revival of Hello, Dolly! have each won five 2017 Outer Critics Circle Awards, the organization announced today. The new off-Broadway musical The Band's Visit, Broadway's Natasha, Pierre and the Great Comet of 1812 and the Broadway revival of The Little Foxes follow just behind with two wins apiece. The 2017 Outer Critics Circle Awards ceremony will take place on May 25 at Sardi’s with Danny Burstein, Katie Finneran and Christopher Fitzgerald serving as presenters. Please note: Only the new elements of the Broadway productions of Dear Evan Hansen, In Transit, Natasha, Pierre and the Great Comet of 1812 and Significant Other were eligible for Outer Critics Circle Awards, as these works were nominated and/or received awards from the organization in previous seasons for their off-Broadway mountings. In the case of the Broadway musical Sunset Boulevard, Glenn Close won the Outstanding Actress Award in a Musical for her original performance. In addition, due to OCC’s nomination deadline last season, the Broadway musical Shuffle Along was included with this year’s entries. The full list of winners can be found below, noted in bold and preceded by an asterisk.